Are you the G.O for your friends and family’s nights out? Whats A G.O I hear your cry? The Group Organiser, your the person that gets left with finding the happening places for your best friends Birthday or a colleagues leaving do at work. When looking for a night out in the big city, it can make ones mind boggle! You want something different from the usual bar with music and a glass of wine, well we have it covered. 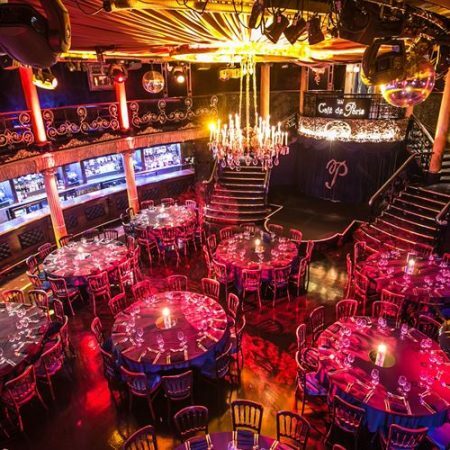 The Collection events team have selected our teams go to venues for a fun filled evening where you can be guaranteed to have a laugh a minute, good food and of course a good old boogie on the dance floor!!! This is a firm favourite of the Collection Events team for a fun filled informal evening of food and entertainment. From start to finish you will be thoroughly entertained by the variety show and in-house band. The food is informal sharing platters and giant pizza platters. The cocktails are yummy too and they have a vast menu to choose from. This is destination venue to stay and dance the night away. 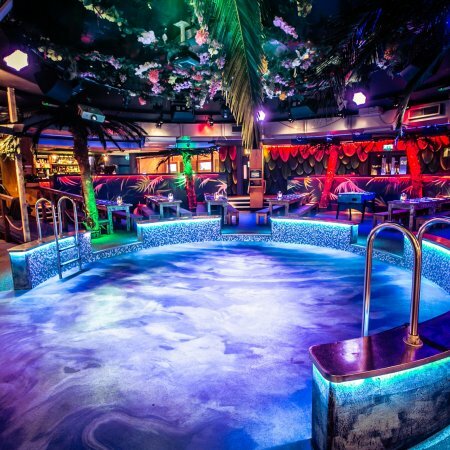 The ultimate cabaret show to watch in central London. Team your 3 course dinner with the show and get your weekend off to a super start. 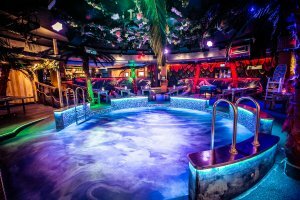 Dinner from 6pm, Show starts at 8pm-10pm and then free entry into the club night. 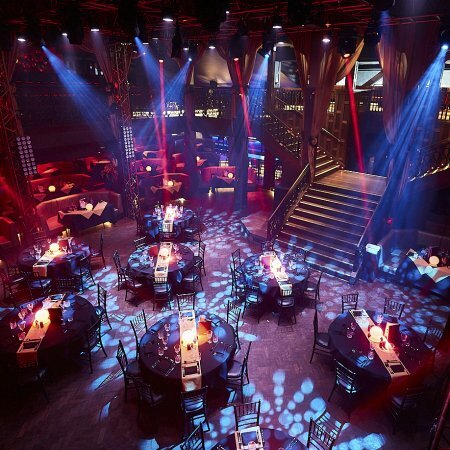 Be sure to be wowed by the entertainment and food at this venue. You do not have to be a darts fan to really enjoy this experience. 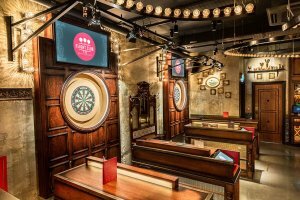 The high tech dart boards add up all the scores meaning no chalk board required. The food is pretty yummy to, not to mention the cocktails! Gert yourself down to one of the three venues in London, Bloomsbury, Shoreditch or newly opened there Victoria brand. 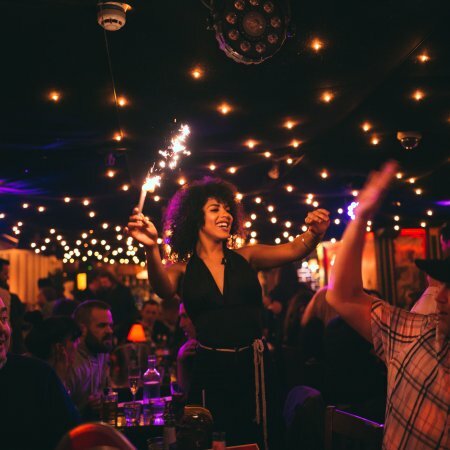 This little hidden gem by Embankment station is the flagship of the Proud Group, a stylish and sophisticated arena to showcase the finest aerial, fire and burlesque shows in London. 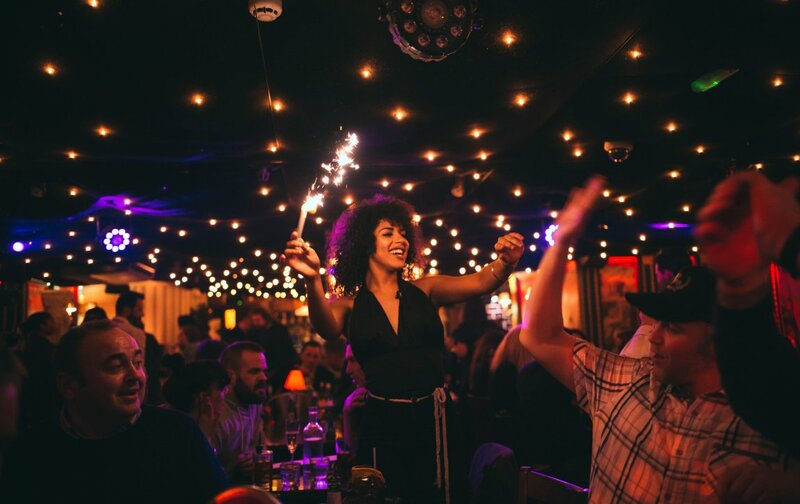 With two branches to choose from Bounce Ping Pong is a fun night out with an activity, Ping Pong of course. 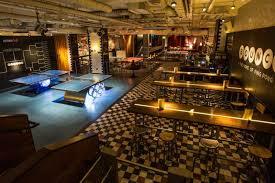 The cool underground venues have a great sound track to keep you engaged whilst trying your hand at ping pong. You do not have to be a professional to have fun here! Locations in Shoreditch and Faringdon. 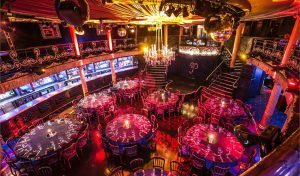 This event is hosted in the Bloomsbury Ballroom just a stones throw from Holborn station. 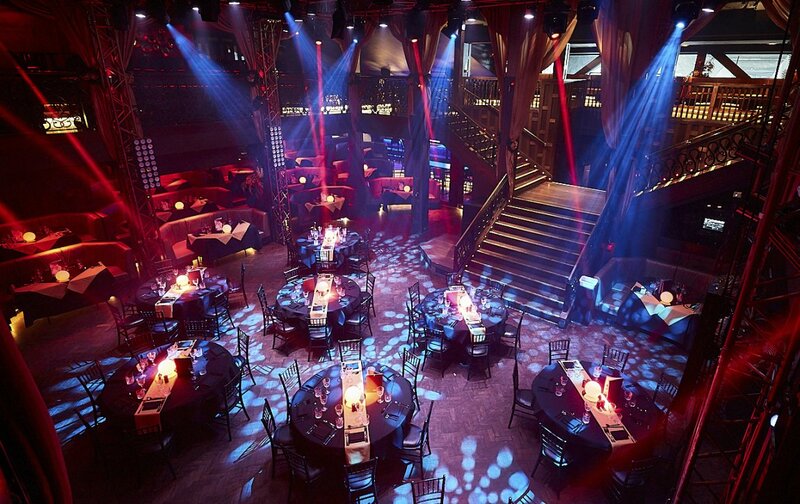 The LCC offers a sophisticated entertainment combining high-end dining experiences with a live cabaret show. Set around distinctly British themes, the shows celebrate the rich heritage of British culture, past and present. Featuring original choreography, they present a unique approach within London’s entertainment and night-life scene. 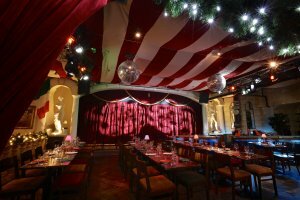 If you would like to book any of the venues for a private event please get in touch with The Collection events team. 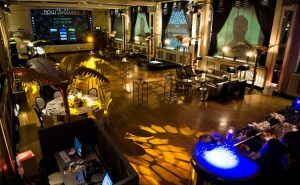 The Collection is a free venue finding service & event management business. 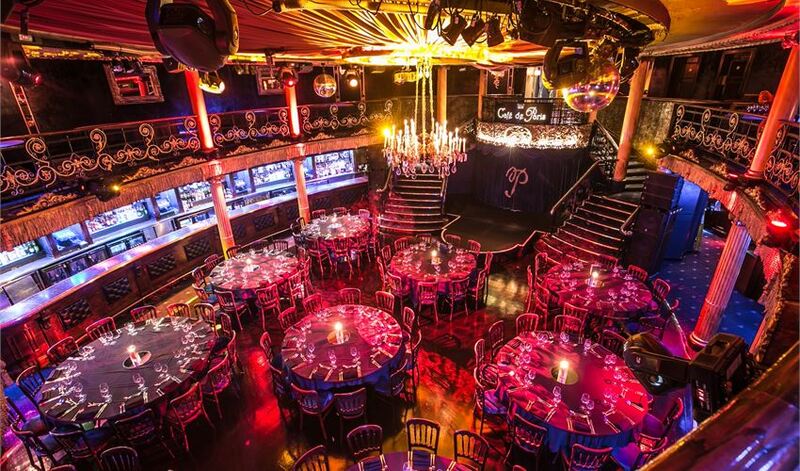 We have a family of incredible venues and event spaces in London & UK. We are the biggest collection of venues under the same banner within the UK and we’re very proud of our diversity. 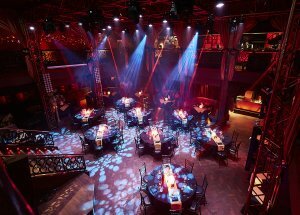 From modern to traditional, iconic to secret spaces – we really do have something for every taste and type of event.